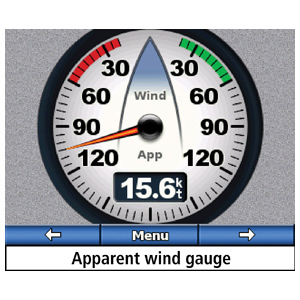 Mariners can use the GMI 10 to display instrument data such as depth, speed through the water, water temperature, fuel flow rate, engine data, fuel level, wind direction and more, depending upon what sensors are connected. 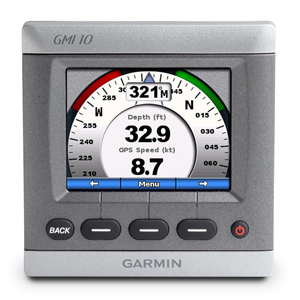 In fact, the GMI 10 supports more than 2 dozen standard NMEA 2000® and more than 20 NMEA 0183 data sentences. 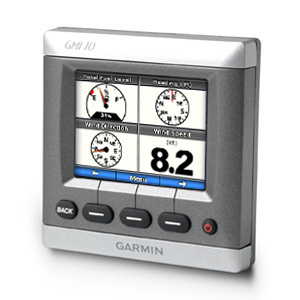 Featuring a bright, 3.5” (8.89 cm) QVGA screen in a sleek 4" (10.16 cm) flush-mount bezel, the GMI 10 serves as the hub of a family of integrated Garmin marine sensors, all connected via NMEA 2000 or NMEA 0183 data ports. 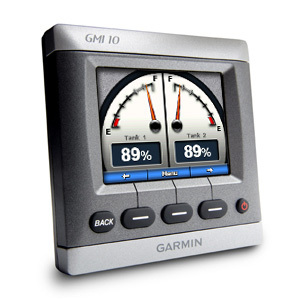 The GMI 10 is recommended by Honda for use with all Honda NMEA 2000 engines. 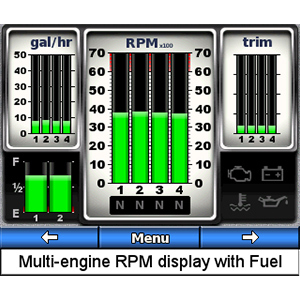 Also, it is the first display capable of showing Honda Marine’s Lean Burn technology, “ECOmo” (single or multiple engine configurations). 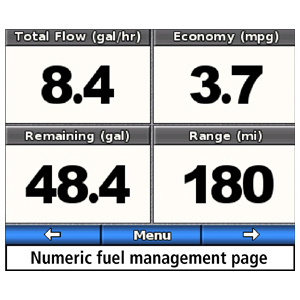 Benefits include overall fuel savings and lower operating costs¹. 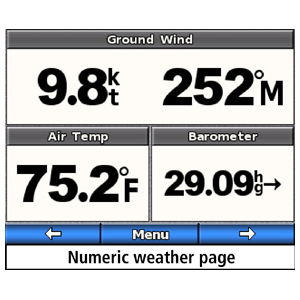 Please contact your local Honda dealer for additional details and engine compatibility. 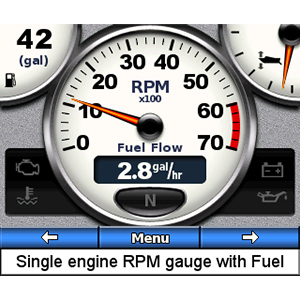 1 The GMI 10 software version 2.80 or newer will support Honda Marine's Lean Burn technology, "ECOmo".